Here’s some of the favorites I’ve seen lately in Italy. Favorite work-turned-reward in Italy: Not only was cutting my own chocolate so cool, the cremino from Domori was so delicious and my favorite thing from an evening out. They could tell I liked it – they gave me one just for me! I broke it open on a trip down south, and it was gone in 24 hours. 500g of chocolate, gone like that. Boom! A cremino is three layers of chocolate, the two outer being gianduja (hazelnut + chocolate) and the inner layer is often hazelnut or coffee. Favorite accompaniment to my espresso: A little pastry goes a long way – I love it when bars give you free pastries with coffee. Who can resist? This one is one of my favorites – a sospiro, a sponge cake with custard cream in between the layers, and then covered in a sugar glaze. Yum. Favorite special delivery in Italy: More snacks from Venchi came in the mail! The ones are the left are the Caffe’ Snacks I mentioned in my January favorites post, and the ones on the right are white chocolate with salted nuts – hazelnuts, almonds, and pistachios! I’m not a huge white chocolate fan, but I thought the combination was interesting (and they’re bite-sized). Stuck between dark and white – what kind of a chocolate fan are you? 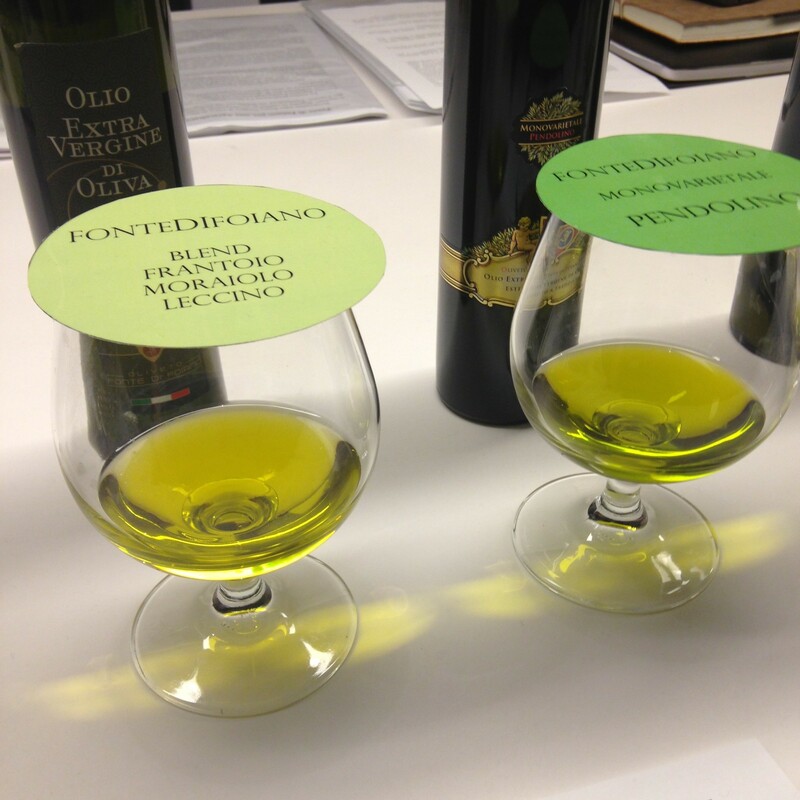 Favorite continuing education experience in Italy: Olive oil tasting. A few years ago I was obsessed with doing a course in olive oil tasting. At the time, I just couldn’t make it work with my work schedule, but it’s still in the back of my mind. Maybe someday. Favorite holiday color palette in Italy: Easter. While I love the lights at Christmastime in Italy, I love the array of colors that comes into play in Italy around Easter time, especially with chocolate Easter eggs. 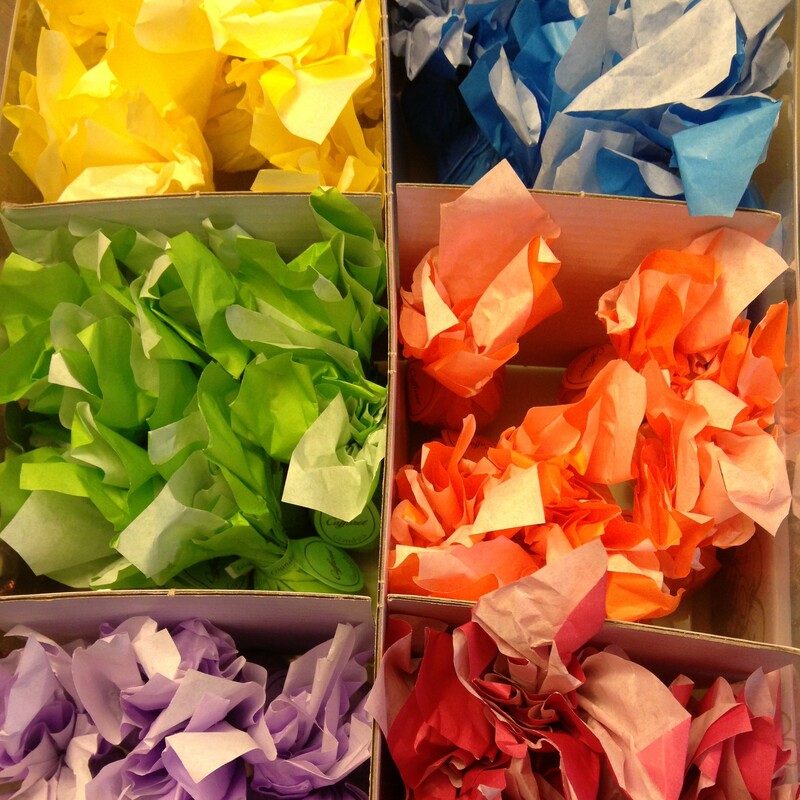 Below, some chocolates wrapped up in colorful paper. Favorite reason to be a snob in Italy: I love confetti, the sugar-coated almonds Italians give out as favors at many celebrations like weddings and graduations. 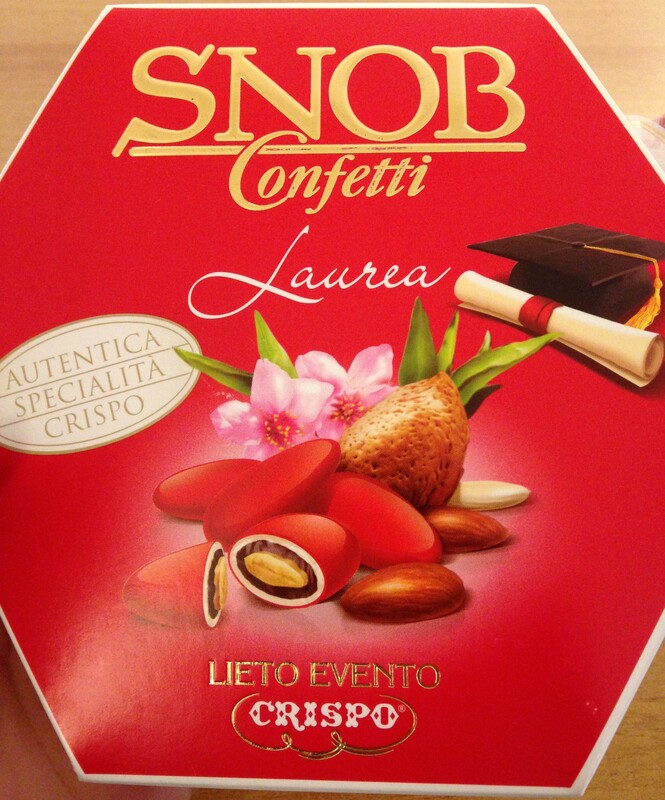 These “Snob” confetti were pretty delicious – almonds covered in both white and dark chocolate, then in a sugar coating. Yum. Red is the traditional color for confetti used for graduates. 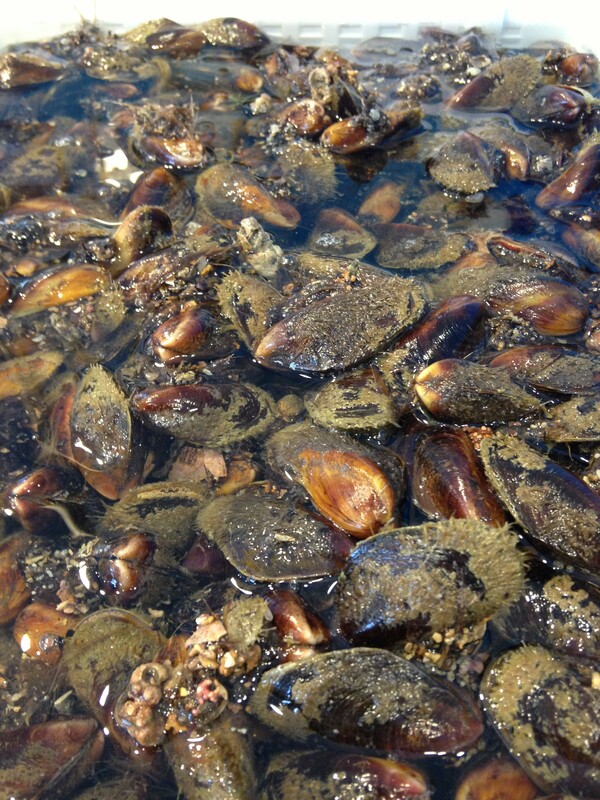 Favorite appreciation for hair in Italy: I love eating mussels, and making pepata di cozze, but these cozze pelose, hairy mussels, are worth looking out for. 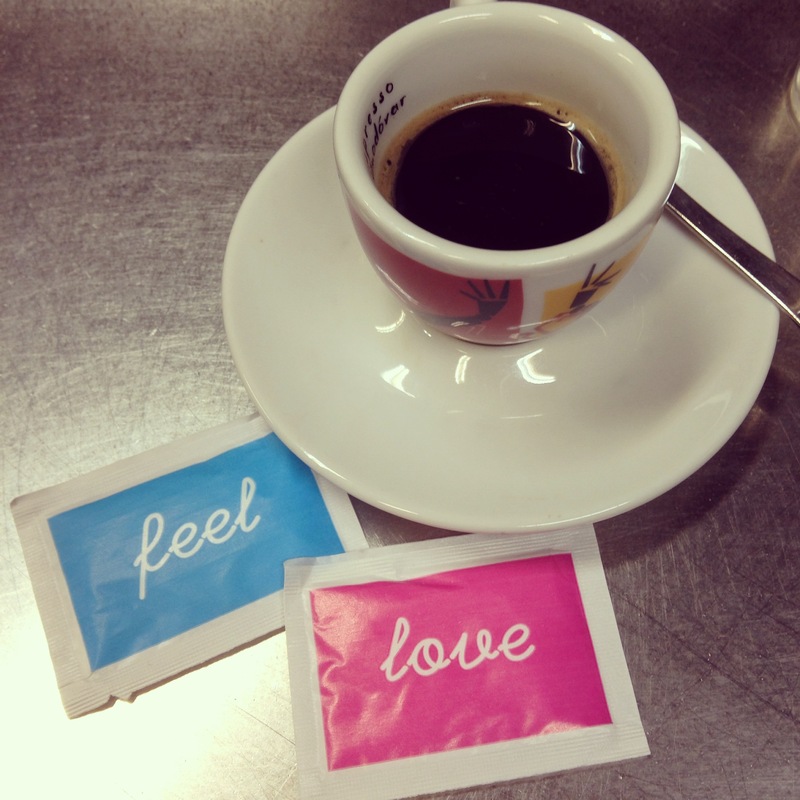 Favorite sugar packets in Italy: I love Italian coffee, and I drink espresso every day. I love the variation in espresso cups as well as sugar packets. Sometimes they’re just with the name of the bar or blend of coffee, and sometimes they’re fun, colorful, or graphic. 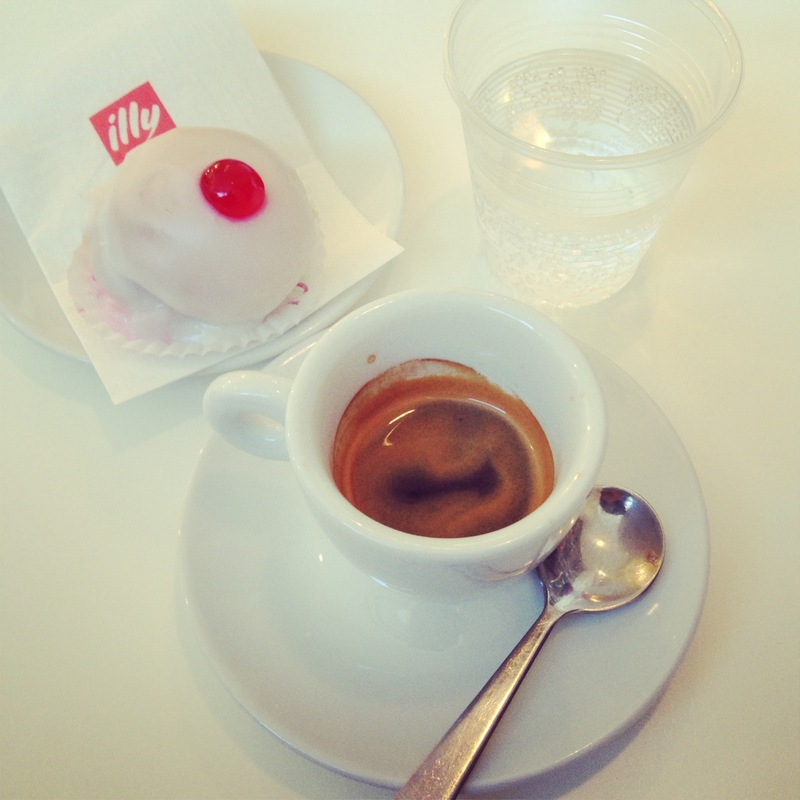 These packets from Illy were a fun surprise (pictured with a caffe’ d’orzo, barley coffee, I like to drink in the afternoons). 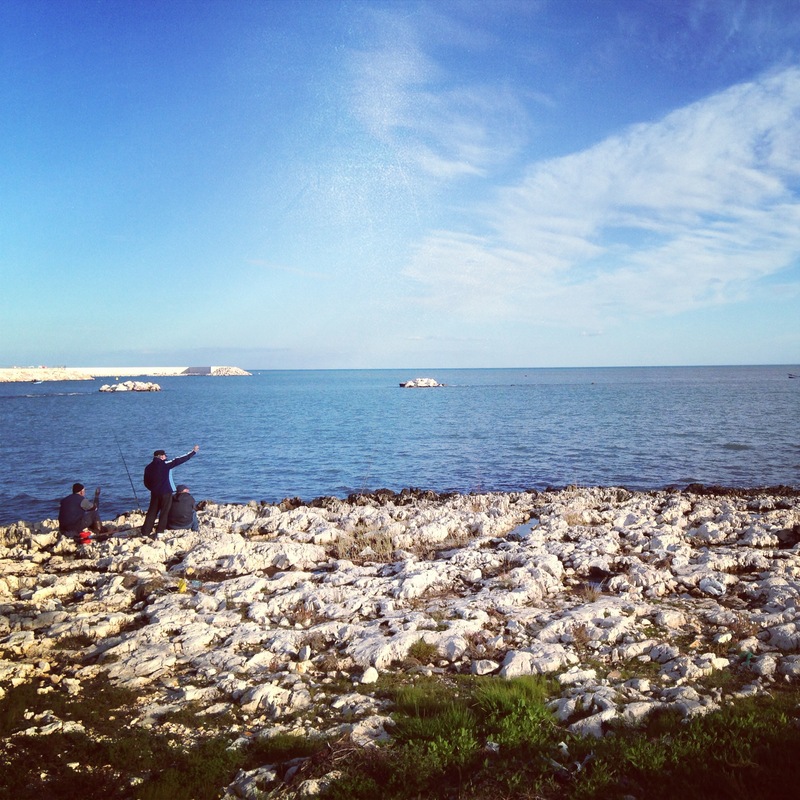 Favorite replacement for birdwatching in Italy: Watching old men and the sea. Disclosure: I received a few of these products for free, but I didn’t promise them any website exposure in exchange (nor anything else); I just like them and wanted to share them with you! Buoni! Cremino I love it… always saw it the FIAT one, never this big. Pasta de Checco, the best. Espresso a must and “cozze” al guazzetto gnam! Thank You for making my mouth water! And the both look yummy. I miss that!! @Simone – What a spicy name :) I’m not a big white chocolate fan, so I definitely prefer the sospiro, but I feel like this shape shows up in a lot of different variations. that shopping bag is favoloso! Enjoy it, while the rest of us are jealous! What a great post! I love reading about food, even food that is hard to find in the USA. The chocolate sounds heavenly….. I want everything in Italy RIGHT. NOW. This all looks amazing. Random but I like to cook a nice pasta while listening to Biagio Antonacci. He has a new album out, “Sapessi Dire No”…take a listen and try and tell me it isnt great! The cremino looks so good! I would have eaten it all, too.